Mark Solomon was appointed Controller of SM Energy in January 2007 and was appointed Vice President, Controller and Assistant Secretary in May 2011. Mr. Solomon served as SM Energy’s Acting Principal Financial Officer from April 30, 2008 to September 8, 2008, which was during the period of time that SM Energy’s Chief Financial Officer position was vacant. Mr. Solomon joined SM Energy in 1996 and served as Financial Reporting Manager from February 1999 to September 2002, Assistant Vice President – Financial Reporting from September 2002 to May 2006 and Assistant Vice President – Assistant Controller from May 2006 to January 2007. Prior to joining SM Energy, Mr. Solomon was an auditor with Ernst & Young LLP. Mr. Solomon earned a bachelor of science degree in accounting in 1991 from Lipscomb University in Nashville, Tennessee, and holds an active CPA license in Colorado and an inactive CPA license in Tennessee. 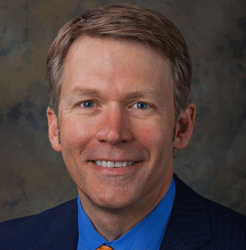 He has served on the boards of the Colorado Society of CPAs and COPAS-Colorado, and he currently serves as the Treasurer of the Colorado Society of CPAs. Mr. Solomon has over 20 years of experience in the accounting profession and over 14 years of experience in the energy industry.